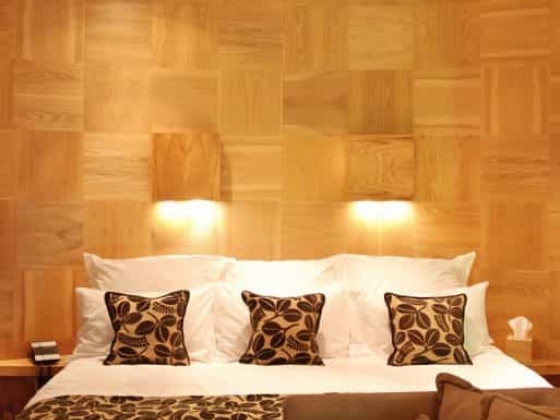 Drakes provides an experience of intimacy and welcome completely unlike any other Brighton boutique hotel. 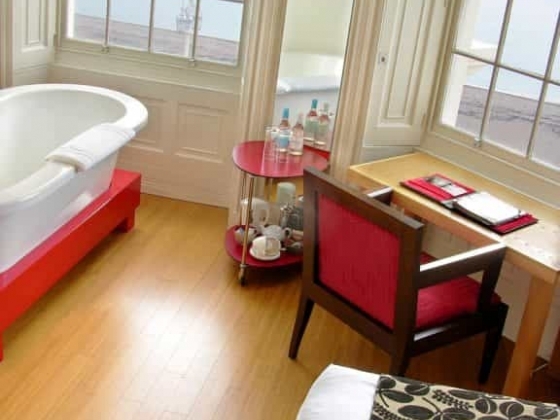 The aesthetic of this double fronted elegant townhouse on Brighton's seafront, with its individually designed luxury rooms and 2AA Rosette Restaurant reflects their philosophy: to offer the highest service standards combined with comfort, subtlety and discretion, all delivered in a style of laid-back glamour. With 20 designer bedrooms, a license to hold civil ceremonies and the award winning Restaurant, drakes provides the complete venue to hire exclusively for you and your guests. 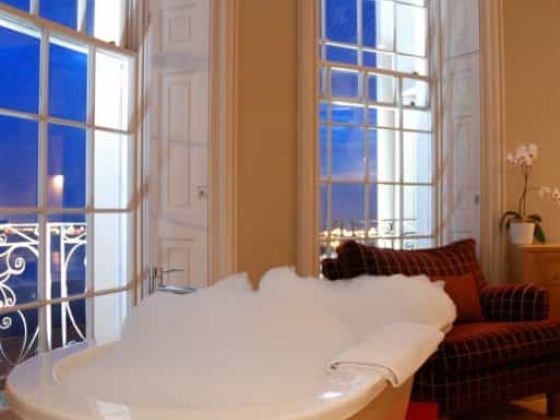 Relax at the end of this most memorable day in the Ultimate first nigh accommodation: a stunning capacious triple aspect Circular room featuring a free standing bath and floor to ceiling windows, offering breathtaking panoramic sea views. "the restaurant at drakes" is one of the South Coast's finest gastronomic experiences. 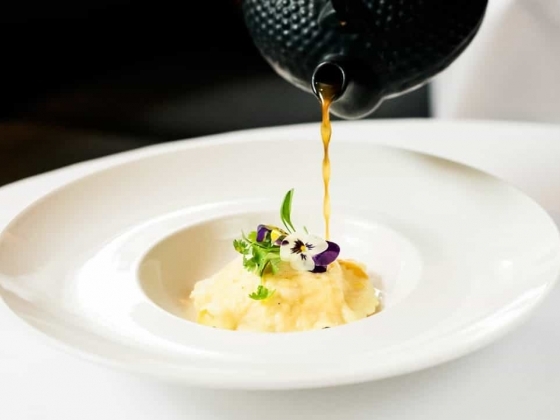 Serving exquisite Modern European Cuisine created with the highest quality seasonal ingredients characterise the restaurant's dishes. 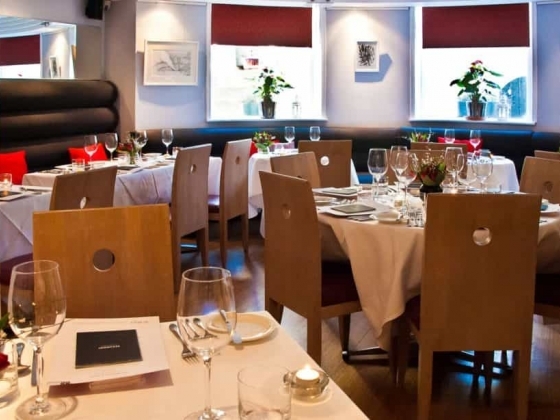 The Head Chef will meet with you to discuss your individual requirements, which will include a bespoke gourmet 3 course sit down Dinner, light Lunch on arrival and Canape Reception, all reflecting your own taste and style. Combining stunning design, an unbeatable seaside location, warm personal service and a vibe all of its own, drakes is the perfect venue for a thoroughly 21st century fairytale wedding. 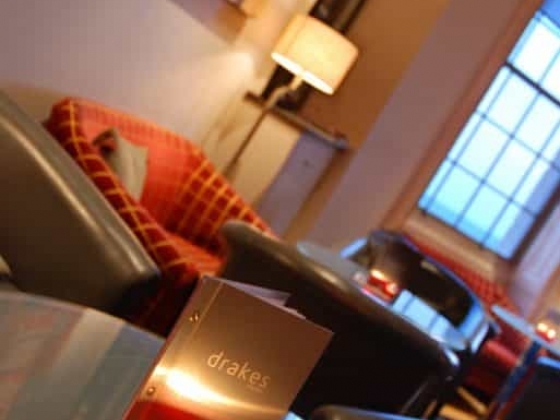 Other Features: Combining an unbeatable seafront location, stunning interior design, award winning cuisine and warm personal service, Drakes Hotel truly is the perfect venue for the ultimate Wedding celebration. A licence to hold civil ceremonies. Accompanying wine with your meal. 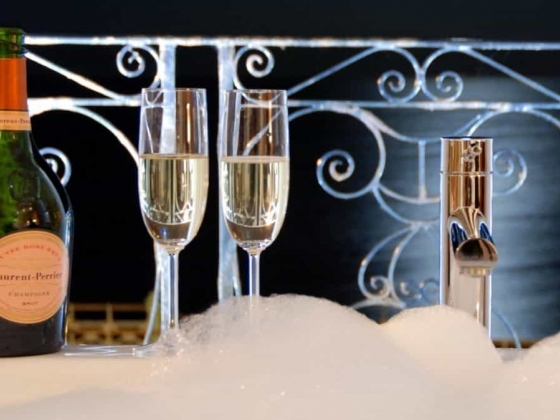 Champagne toast during the meal. Light bites later in the evening. Parking for up to 14 cars.